"Adam Khel" which is a sub tribe of Afridi tribe& all our 8 Afridi sub tribes lives in the frontier provence of pakistan ,we were not jews. 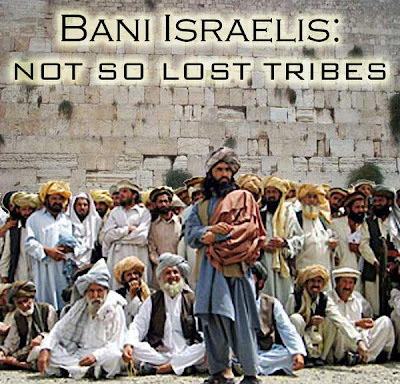 we are children of Prophet ISHAQ (A.S) & before islam we followed the "pashtunwali laws & codes" through all the previous ages which is somewhat closer to basic Ibrahim religion laws.Do not panic we did not followed the modern jew(zionism) religion at any time in the history specially in the way it is transformed today by the jews. The Man standing in the picture is Naik Muhammad , belongs to a wazir tribe and was first taliban commander in pakistan that clashed with army and was later killed in a drone attack..